The post Fins up! Learn to Dive – and Keep Diving appeared first on . 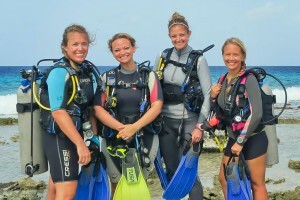 This entry was posted on Friday, February 26th, 2016 at 8:02 pm	and is filed under alex in wanderland, alexandra baackes, AmbassaDiver, PADIWomen, PADIWomensDiveDay, Rebreathers, Scuba_News, standards, Teach First Aid/CPR, Tec, Tec Diving, Technology, TecRec, TecRec IT Crossover, UW Photography, Wrecks. You can follow any responses to this entry through the RSS 2.0 feed. Both comments and pings are currently closed.